What is the most important thing for a business? A great product? An awesome service? A strong workforce? While each of those things is important, none of them matter without one thing––customers. Customers are the heart of any business. If there isn’t anyone willing to purchase what you’re offering, it’s impossible to get a business off the ground. Even if you have a high-quality product or service that solves a real need, if customers are unhappy with what they’re buying, they’ll look elsewhere for a solution. In fact, 33% of customers would consider switching companies immediately after experiencing poor service. Even worse, 95% of customers would share that bad experience with friends and family. This means poor customer service is just as harmful to your company’s success as a poor product or service. Unfortunately, finding a great customer service team is easier said than done. Contact centers can experience high turnover rates––sometimes even topping 50% annually. Constantly needing to find, hire, and train new customer service employees can be time-consuming and expensive, and leave your customers feeling frustrated. At the end of the day, it can seriously hurt your business. Luckily, there are some ways you can improve your customer service recruitment strategy. Let’s take a look at how you can find the right employees and reduce turnover. Customer service is an in-demand industry. With more and more businesses recognizing the importance of strong customer interactions, employment in customer service is expected to grow by 5% until 2026. Customer service is also growing in importance for businesses. The role of a customer service representative is also changing. Today, customer service is more than just answering phones and taking basic questions. It also includes communicating via social media, email, chat tools, and other platforms. Successful customer service employees also require specific traits and skills, including patience and problem-solving. So, although the customer service sector employs over 3 million people in the U.S. alone, it’s no wonder that the right people aren’t easy to find. To help you improve your customer service recruitment strategy, here are seven things you can do to reduce customer service turnover rate, improve the quality of your hires, and increase the efficiency of the entire hiring process. Transparency is key any time you’re hiring. Before you move too far in the interview process, you want to ensure both you and the candidates are on the same page. Let your customer service candidates know important information––such as salary, benefits, expected shifts, and the training process––early on. When you first start connecting with potential candidates, let them know exactly what you’re hiring for. If they’re expected to work nights or weekends, make sure they understand these obligations. You’ll also want to ask about their salary expectations. If they’re looking for a salary that doesn’t fit within your budget, there is no point in wasting either of your time. Weeding out candidates who can’t meet your requirements early on can help you focus on candidates more likely to fit what you’re looking for. Almost one-third of employees claimed their biggest reason for quitting a job was due to a lack of career advancement or promotional opportunities. This is 10% higher than insufficient pay or benefits. This tells us that hires aren’t looking for a stagnant position. They want a career. During the hiring process, make sure to clearly outline growth opportunities within your organization. Let them know what promotions are available, and how those promotions happen. Beyond that, make sure there are processes in place that allow for real advancement and continuous learning. Don’t just talk about them in interviews––make them a reality. Be sure to ask your customer service employees about the kinds of training or processes they’re interested in learning about. Get them involved in their own education and advancement. Most companies use the same job boards over and over. This means your job posting can easily get lost in a swamp of similar listings. In order to attract the best talent, you need to find a way to make your posts stand out. Rather than attempt to take over the traditional job boards, look for new recruitment channels that might attract a prospect’s attention and incorporate them into your customer service recruitment strategy. Social media can be a great way to get the word that you’re hiring out there––and we’re not just talking about LinkedIn. Twitter, Instagram, Snapchat and Facebook can all be powerful tools for recruitment. Videos are another creative way to connect with potential applicants. You can share those videos throughout social media, even featuring them on your stories, or host them on your recruitment website. Find unique areas where your target audience is hanging out and post about your open position on that platform. To further extend your reach, ask employees to post as well. Of new hires that have left a position within 90 days of starting, 43% said their reason for leaving was that the day-to-day role wasn’t what they expected. A realistic job preview could have prevented this. The job preview is the candidate’s first image of the position. It should give them a clear idea of if they’re qualified and interested in the job. Creating realistic job previews are also important for your organization, ensuring you’re hiring the right fit the first time around. To create a realistic job preview, connect with employees who are currently in that role or who have held that position in the past. Incorporate their insights and feedback into your job description. You can also use an interactive simulation to give candidates a preview of a typical day on the job. Some pre-employment assessment platforms allow you to build a custom realistic job preview and upload it into your online application experience. Almost a quarter of companies use Realistic Job Preview and the number is growing. Implementing it in your customer service recruitment strategy will help you reduce early turnover. A situational judgment test is another way to give candidates a better idea of what their job duties would be if hired and can take your customer service recruitment strategy to the next level. Situational judgment tests can give candidates a “virtual first day on the job.” By giving them scenarios they can then respond to, applicants get a feel for the kinds of problems they may deal with day-to-day. In the customer service field, this is especially helpful. Providing situational judgment tests to candidates gives you an inside look at how they might respond to customer issues or questions. It can also give professionals an idea of what kinds of questions they may be asked. Because customer service can span a wide range of industries and requirements, it can be difficult to tell if someone’s past experience is applicable. Situational judgment tests allow both parties to better understand expectations, so there is less confusion––and turnover. Data is quickly taking over how business decisions are made––even when it comes to hires. 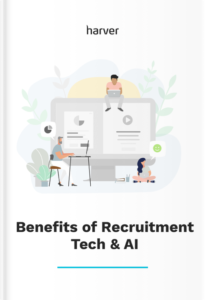 Access to recruitment and hiring data means you can find exactly what skills, characteristics, or qualities are most important to your organization, and rate candidates based on how they fit. Using data gives you an analytical look at your hiring process. When you have numbers to back up your decision, you’re less likely to make a choice based on bias or other outside influences. In order to use data efficiently, you first need to establish what you’re looking for. Take a look at your current workforce and identify some high-performers. List the qualities and characteristics that make them good at their jobs. Then, create an ideal candidate persona based on your findings. Note which skills and traits are most important to the position, then use assessments to measure candidates. One of the most common assessments you can use to get to know your applicants is the personality questionnaire. The personality questionnaire helps to evaluate different dimensions of the personality, including honesty, agreeableness, and conscientiousness. Not only can this assessment help you understand how a candidate may fit in your open position, but it also tells you how they may fit within the company culture. Poor multitasking skills can be a serious drain on productivity and dramatically increase errors. In fact, multitasking can cause a 40% drop in productivity while increasing errors by up to 50%. However, multitasking is still an important skill for customer service. A multitasking assessment can allow applicants to play games and measure their ability to multitask and switch tasks quickly. Multitasking test can be a fun game for the applicants and, at the same time, provide valuable data to the recruiters about applicants’ skills. Customer service representatives spend a lot of time on the computer, which means they need to have strong typing skills. A typing module can analyze a candidate’s typing performance, identifying if they’re fast but sloppy typers, or if they’re slower and more accurate––or if they fall in that sweet spot in between. Typing tests can also tell motor coordination and cognitive function, which can also be important for a customer service position. When hiring a new customer service representative, you want to be sure they’re capable of solving problems efficiently. A general mental ability assessment measures just that. Adding a “Brain Game” to your application process can evaluate just how well candidates can solve puzzles or crack codes. While they may not be solving mazes on the job, it can still help you identify how quick on their feet they are when finding solutions to customer problems. If you want to hire the best candidates, you need to make those individuals want to work for you. Without an employer brand, this can be difficult to do. A strong employer brand gives job seekers something to connect with, similar to how a company’s brand can help attract customers. It shows off who the company is, what kind of people they employ, and what the culture is like in that office. Whether you’re starting from scratch or you already have a defined employer brand, think of ways you can show off your company culture to the public. This might be through videos, special employee-focused social media accounts, or blog posts about the people behind your company. For ideas, take a look at what your competitors are doing––but don’t copy them directly. Take their ideas and make them better. Make your candidates excited about your company culture during the recruitment process instead of putting them off! Having a strong team of customer service representatives is important to your brand and business, so you need to be smart about who you hire. Putting the right systems in place before you hire can ensure you’re putting the right people in your open positions. To find and onboard the right customer service professionals, find the appropriate platforms to promote your open position, create a job description that is accurate and interesting, and identify the most important qualities and characteristics for the job. Use data to find the most qualified candidates during the application and interview processes. From there, you can make strategic decisions about who you welcome onto your team.